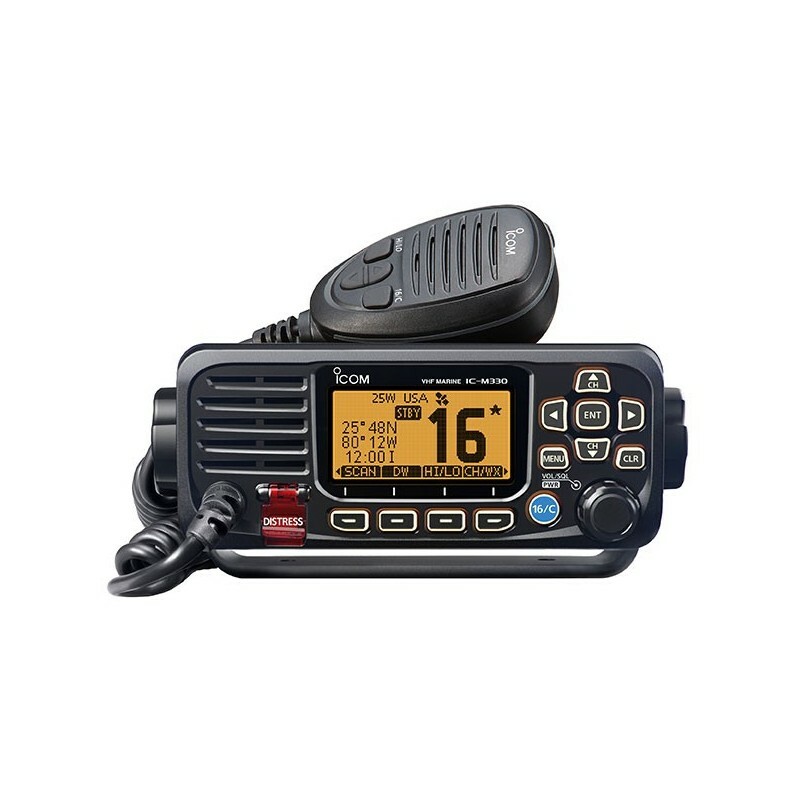 Radio Marine Icom IC-M330 series gives you the same performance and feature set as the M324 series, but now within a smaller package to fit in tight spaces. Priced at a great value the M330 series still includes the exclusive AquaQuake™ draining feature, 25 watts of power, IPX7 Waterproof rating, scan/select scan and Icom’s exclusive user interface for ease of use. Radio Marine Icom IC-M330 includes a GPS receiver and an easy to install external GPS puck antenna for better accuracy and performance. The small compact GPS puck antenna provides your location, bearing and speed by using information from GPS, GLONASS and SBAS. This information is used for DSC (Digital Selective Calling) calls. Hook up the GPS puck antenna for the most accurate GPS and DSC functionality to work. 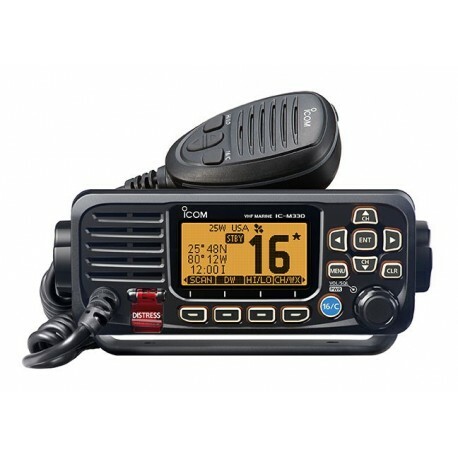 Radio Marine Icom IC-M330 small size makes it easy to install into vessels with limited space. The dot-matrix display is clear and easy to read. A combination of the directional keypad and soft keys provides simple, smooth operation. Most used functions are assigned to soft keys for quick one push function access. Measurements made in accordance with TIA/EIA-603. All stated specifications are subject to change without notice or obligation. Jadilah yang pertama untuk menulis komentar !